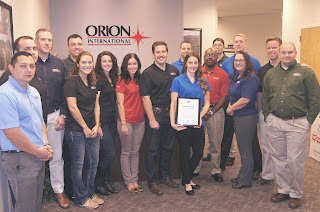 Orion’s Raleigh office signed the ESGR Statement of Support back in 2014, and challenged the other four offices to do the same this year. 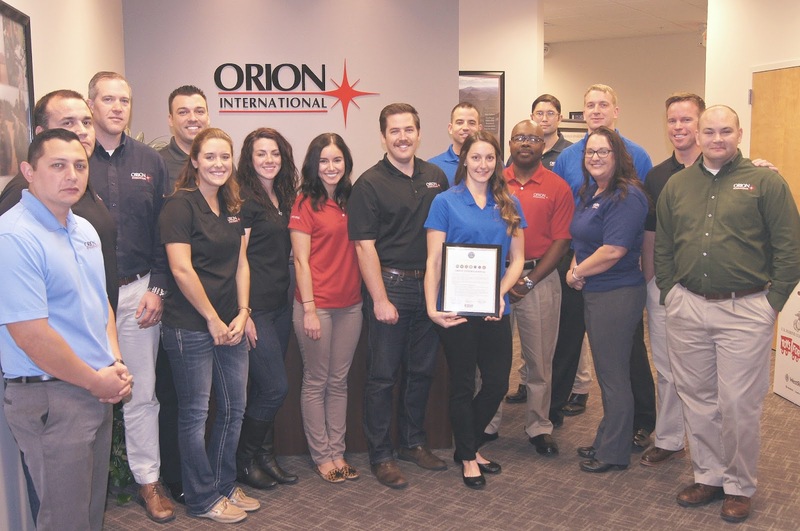 On November 9th, the Raleigh office held a Reaffirmation Signing, and the offices in Virginia Beach, Cincinnati, San Diego and Austin each proudly signed the statement. ESGR is a Department of Defense program that was established in 1972 to promote cooperation and understanding between Reserve Component Service members and their civilian employers and to assist in the resolution of conflicts arising from an employee's military commitment. ESGR is supported by a network of more than 4,500 volunteers in 54 committees located across all 50 states, the District of Columbia, Guam-CNMI,Puerto Rico, and the U.S. Virgin Islands. 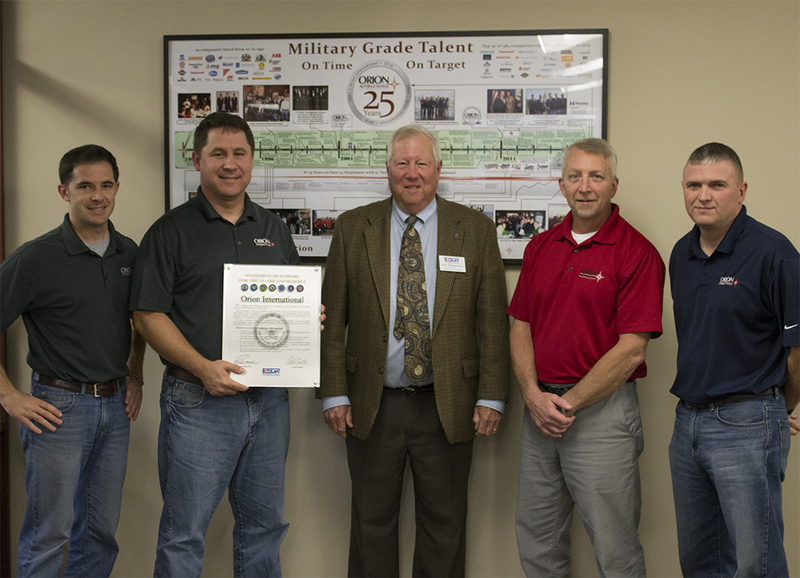 ESGR has served our country for more than 40 years, fostering a culture in which all employers support and value the employment and military service of members of the National Guard and Reserve in the United States. These citizen warriors could not defend and protect us at home and abroad without the continued promise of meaningful civilian employment for themselves and their families. ESGR continues to adapt to meet the needs of Reserve Component members, their families, and America’s employers by joining forces with a network of other national, state, and local government and professional trade organizations. We are honored and proud to support an amazing program that develops and promotes supportive work environments for Service members in the Reserve Components through outreach, recognition, and educational opportunities. 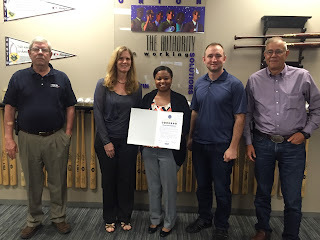 Thank you to the ESGR employees who made this possible. 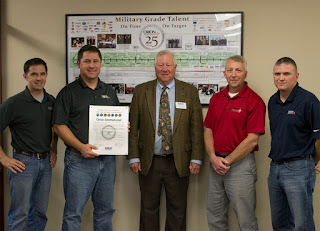 For more information about ESGR Employer Outreach, please visit them online at www.ESGR.mil.